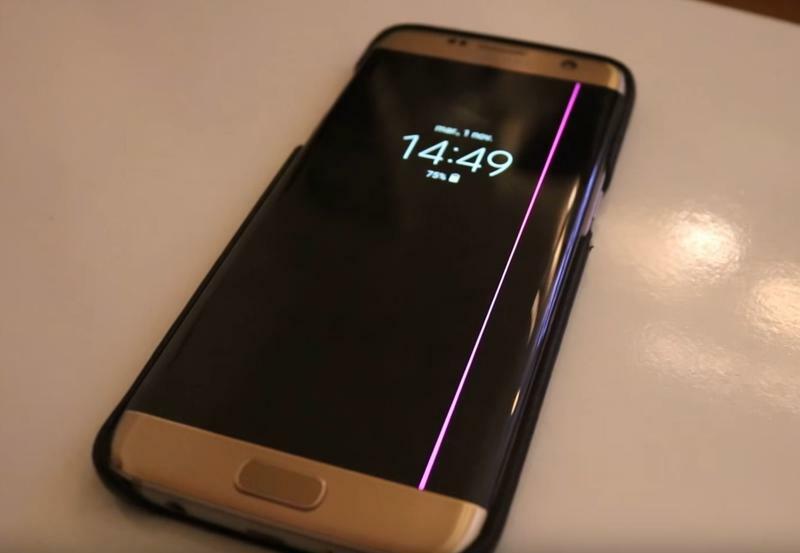 Galaxy S7 Edge owners are experiencing an issue that mysteriously displays a pink line on the device’s screen—and they’re all appearing in roughly the same spot, indicating there’s some sort of defect. This is an issue that appears to stretch back for several months but is just now gaining steam on forums. A Samsung spokesperson told us it’s not a known issue the company is currently tracking. 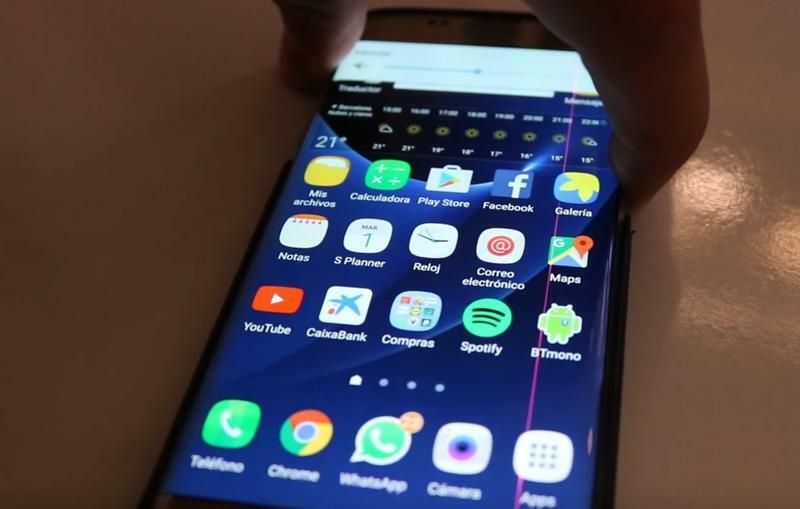 Owners across Samsung’s forums and on Reddit all say the pink lines appeared unprovoked, meaning their device was never dropped or misused. Lemz22, posting on Samsung’s forums, first brought attention to the problem last summer, prompting a lot of responses from the community. A pink line popped up on the screen. It goes from the top to bottom in middle. I tried changing theme, wallpaper, setting, and rebooting phone. It don’t seem to want to go away but when I send photos or anything else it will appeal normal on there (sp) screen. Is there anything I can do to fix? While a cause hasn’t yet been determined, a mod on Samsung’s forums has come up with an “accepted solution” for getting the problem fixed. 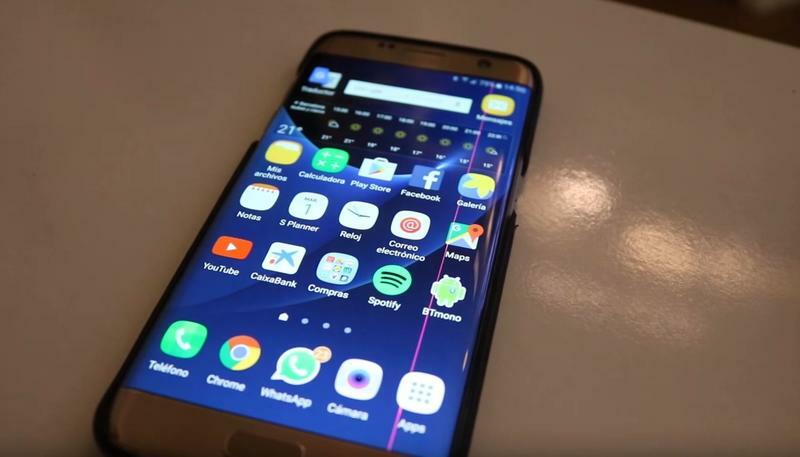 According to SamsungJuan, it is recommended that devices showing pink lines be sent in for evaluation. Please be aware that final determination will come down to the technician that examines your device, whether any repair falls under warranty. Physical or liquid damage is not covered by the manufacturers warranty. We would like to also take this time to make you aware that currently Samsung placed a hold on out of warranty repairs. Meanwhile, SamsungJuan also suggests users go to a local service center to get faster assistance. Another mod on Samsung’s forums said the screens may have a column of pixels “that are acting up!” but they do not expand their comments beyond that. According to another S7 Edge user, a local support center said the issue would not be covered by warranty and requires a $350 fee for a screen replacement. 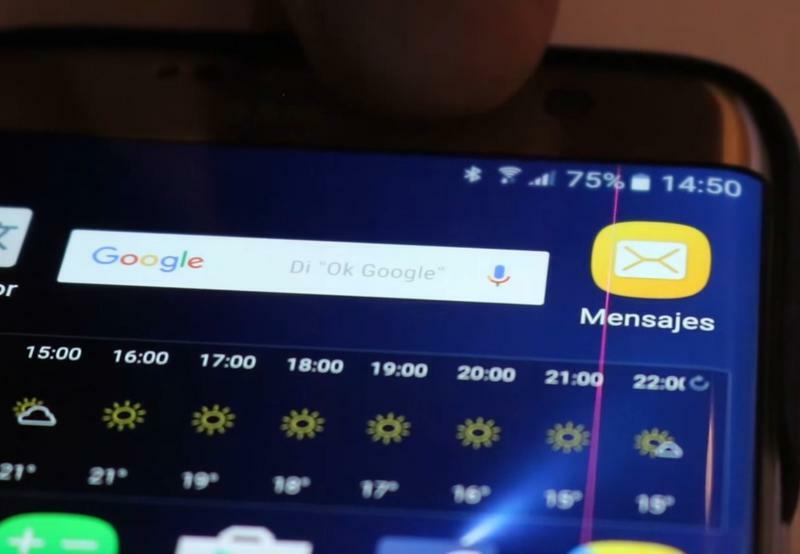 Another user on Samsung’s forums said they sought out local assistance but were turned away. After taking my phone to a Samsung store and being told they won’t replace the phone I contacted Samsung head office. It’s been 2 weeks so far. They asked me to take my phone in for an assessment. Finally admitted to me that this is unfortunately a very common s7 edge problem. My phone is in mint condition. They did mention if the phone had any physical damage they would not have accepted to repair or replace under warranty. Fortunately for me Samsung have agreed to give me a brand new phone. It takes another 2 more weeks which I’m not happy about to organise (sp) a replacement. Conversely, another user claims he or she was able to get his or her device repaired by a service center in less than 24 hours. As SamsungJuan said, it’s up to a technician’s discretion as to whether or not a phone can and should be repaired, so your experience may differ. 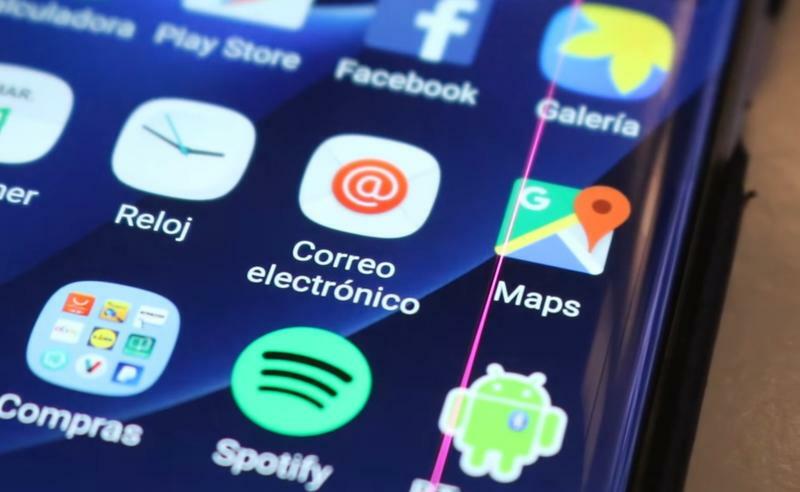 Although Samsung said it’s currently not a known issue, users on the company’s forums continue to complain about the pink lines. What’s notable is that users are all seeing the lines show up in the same relative location.